Audiophiles rejoice, Tidal be worried: CD-quality audio should be coming to Spotify streaming sometime soon. We've been expecting it and Spotify now appears to be beginning a trial. Exactly what codec Spotify will use to deliver that lossless quality is not clear but hopefully it will be at least as good as the offering from high quality streaming service Tidal. The existing Spotify Premium service offers a max of 320kbps using Ogg Vorbis. How much will Spotify Hi-Fi cost? According to the leak the new Spotify Hi-Fi premium service will cost an extra $5-10 USD per month, or £5 or £10 in the UK. If we were betting people we'd say it will be £19.99 instead of £9.99 for Spotify Premium as it exists at the moment - that's what its competitors charge (see below). That will get users lossless audio quality, discounts on limited edition vinyls and one free vinyl record plus all the usual premium services. 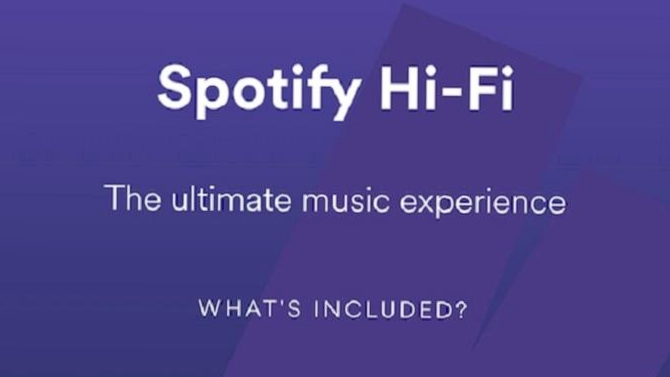 Why is Spotify Hi-Fi launching? Deezer and Qobuz also offer Hi-Fi streaming so the market is expanding. Both of these - as well as Tidal - charge £19.99 or $19.99 USD per month while the standard tier is £9.99 or $9.99 USD. The bandwidth and the demand is there, now more services need to start delivering music at CD quality (and higher).